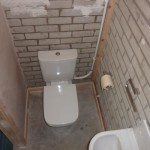 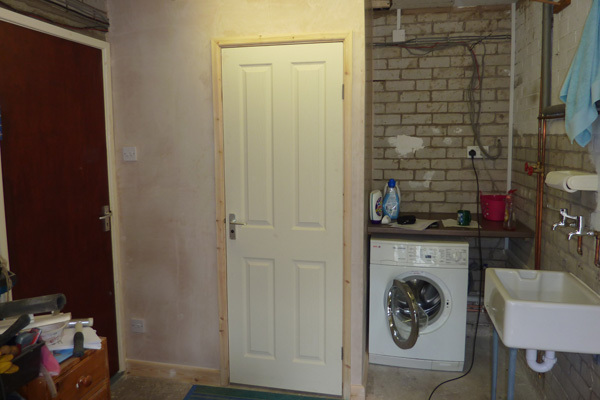 Our customer wanted to create a downstairs toilet, taking space from their garage which can be accessed via an internal door. 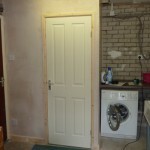 We created partition walls with a door, skirting boards and architrave. 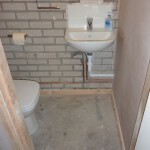 As the location had no existing soil pipe within the vicinity, we installed a Saniflo toilet, adding a hand wash basin and accessories. 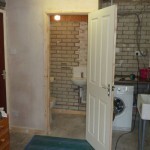 We also added a Belfast, Butler style sink and a worktop over the washing machine to create a more usable utility area. 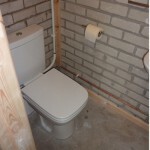 Our customer wanted to decorate the rooms himself. 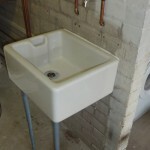 However, we can take care of the decorating too, should our customer request it.